Lionel Messi scores his 400th La Liga goal as Barcelona beat Eibar to regain their five-point lead at the top of the table. Introducing the female president and the football philosophy behind Real Madrid's conquerors Eibar - the smallest team in the top five European leagues. 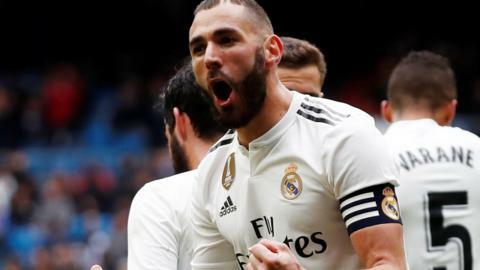 Santiago Solari's winning start as Real Madrid coach ends with a dismal defeat at Eibar as the Basque outfit claim their first La Liga win over their opponents.